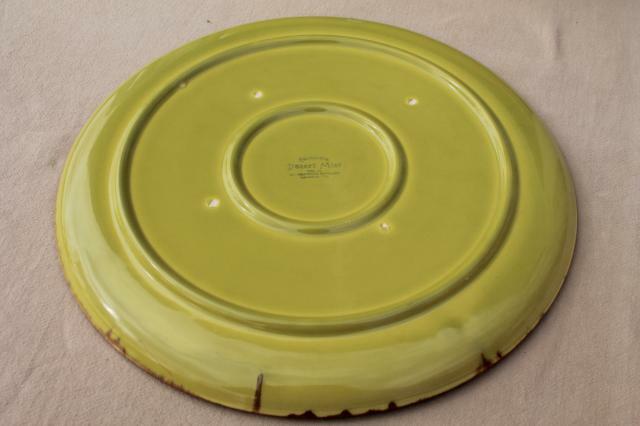 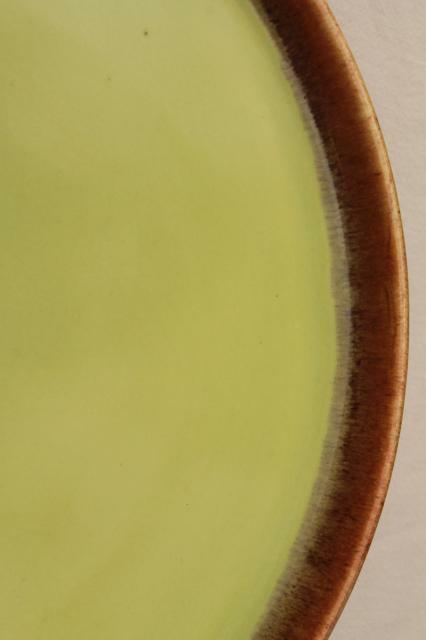 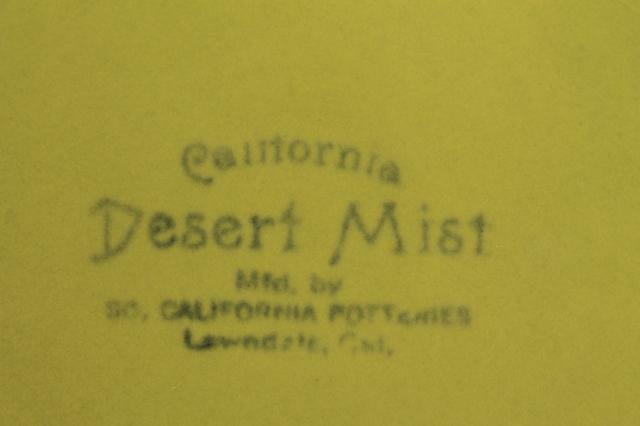 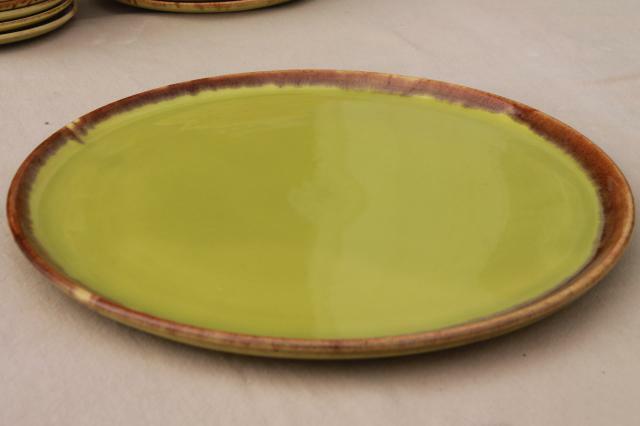 Mid-century modern Brock of California pottery in the Desert Mist chartreuse green color with brown drip. 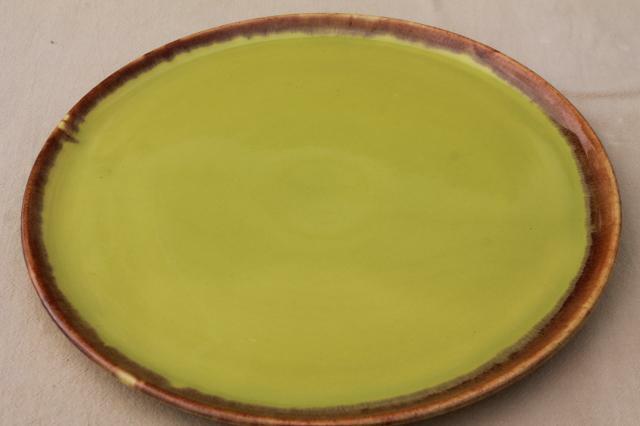 This piece is the round cake platter, tray or serving plate - about 14" overall diameter. 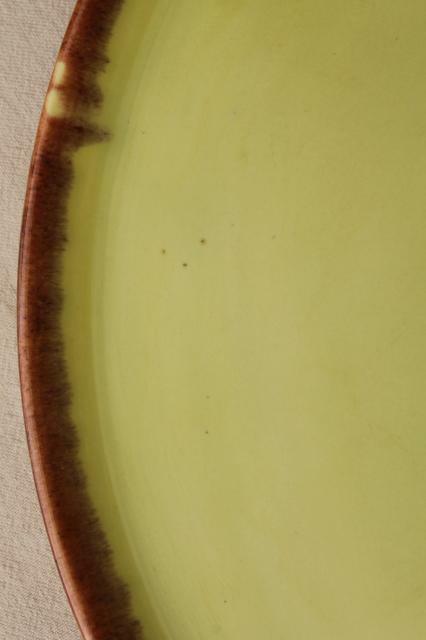 It's in very good condition, very little crazing to the glaze, no chips or cracks, nice and glossy.